Creation of this resource was inspired by this problem posed by Ed Southall. You can move the vertices of the triangle anywhere you'd like at any time. 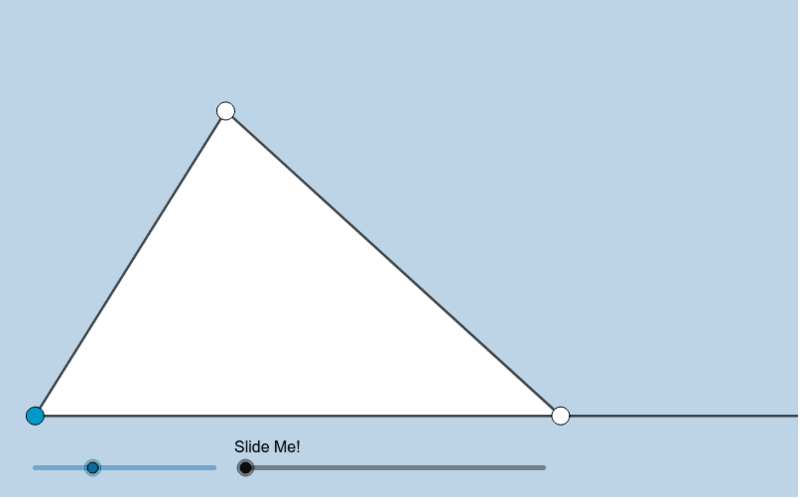 The blue slider controls the size of the angle with blue vertex. How can we formally prove what is dynamically illustrated here?